Good morning! I hope you had a fabulous weekend. Ours was actually pretty relaxing - not a lot going on apart from my crop on Sunday, my team Founders event on Friday, volleyball and a playdate. DSP - Kathy used the Painted Blooms dsp in the Occasions catalogue - I don't have that yet so I used the polka dot one from Flowerpot. Ribbon - Kathy used the white 5/8" satin ribbon - I didn't have any of that so I used the 5/8" organza and didn't have much so I didn't double up my not. The organza is simply wrapped around the front and the ends adhered in the back and then the crushed curry SAB ribbon wrapped all the way around. 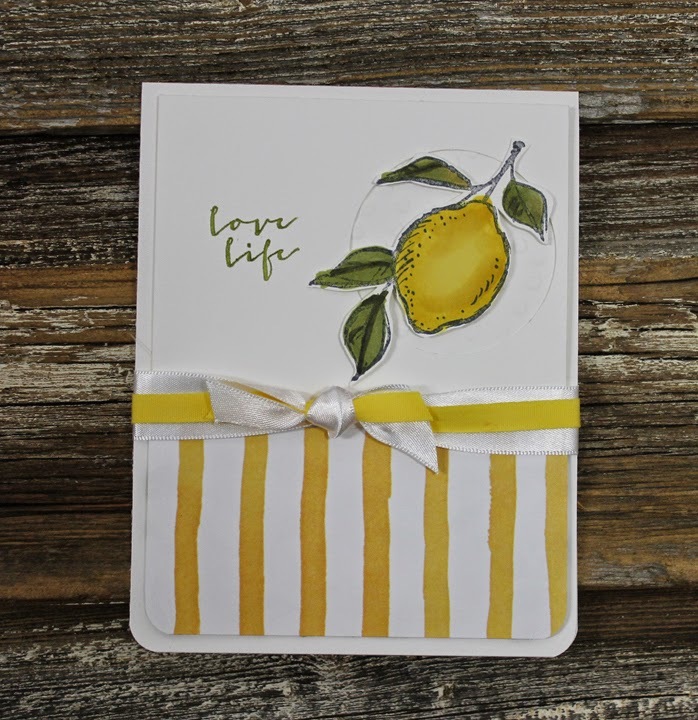 The other change I made and this was just to simplify for a class was to stamp the image right on the cardstock instead of cutting out the whole image, we just cut the lemon. Kathy actually created a cute little window using a circle punch and then had an embossed piece of white cardstock behind. Super cute! 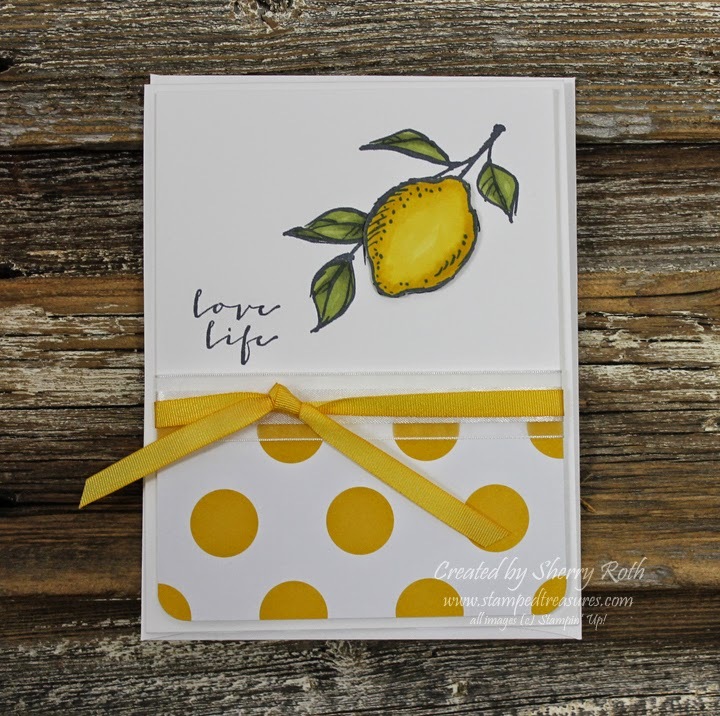 I showed off Kathy's card as a stepped up version of my card in class and they loved it. Thanks for the inspiration Kathy! Click any of the images to find out more about any of the products or to place an order.